Many customers today opt for simple texting communication for the services they need, including shopping and products research. When your brand offers an immediate, accurate, and always available A-level messaging service, you’re increasing efficiency and save time for both the customer and your company. 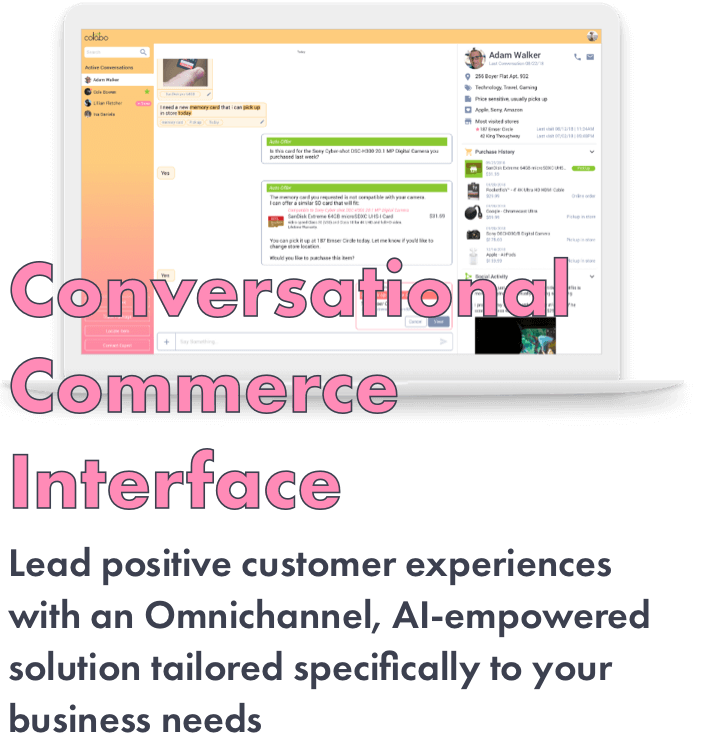 Utilizing the conversational commerce service holds Endless growth potential, due to NLP processes for advanced catalog search and common enquiries management. This bot is a learning entity: the more use cases and experiences it tackles, the faster and more efficiently it predicts the right product or flow for each enquiry. New use cases are added constantly. A simple integration to your current touch-points helps you deliver true omnichannel commerce experiences, in sleek Chat interfaces, supporting retail needs and standard practices. It can be implemented on any current workflow, text or speech.